[Updated July 2016] This article will take you though the logistics of traveling without your car on the Washington State Ferry from Anacortes, Washington to Victoria, British Columbia. A one-way walk on fare for one adult (age 19 – 64) is $19.45 from Anacortes, WA to Sidney, BC. 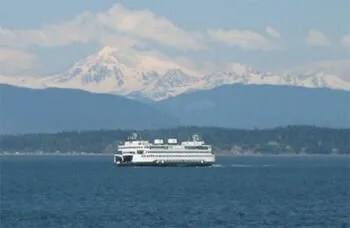 Roundtrip cost is $38.90 on the Washington State Ferries. The cost of bringing a car from Anacortes to Sidney is $95.10 round-trip (summertime rate) and that’s just for the car. A trip for two (with car) would cost $172.90. Reduce that cost by 56% to just $76.20 round-trip for two adult walk-ons (without a car). 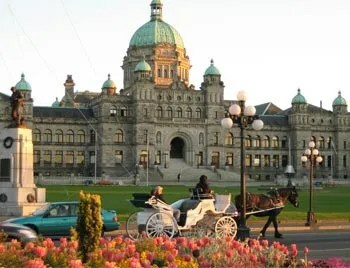 Victoria Regional Transit System will get you around the Greater Victoria area (more on this below). Bringing your bike is also an option. It will cost an additional charge of $6.00 per bike one way ($12.00 roundtrip) on the ferry. The Victoria Regional Transit System is equipped to carry two bikes on each bus. However the Anacortes / Skagit Transit bus is not equipped to carry bikes, so you would need to ride the short distance to the ferry terminal from downtown Anacortes. Anacortes, Washington is located 77 miles / 124 km (1-1/2 hours without traffic) northwest of Seattle. 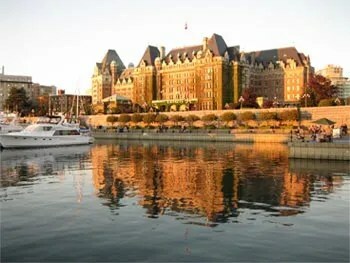 Sidney, British Columbia is 16 miles / 26 km (25 minutes) north of Victoria located on Vancouver Island in Canada. Along Highway 20, there is March Point (map) Park and Ride. It’s just a 10 minute drive from downtown Anacortes. They offer free overnight, multiple day parking. The lot is in a remote location. It is lighted, but I don’t believe they have security cameras at this location. From March Point, take the Skagit Transit 410 bus directly to the ferry terminal. Bus fare is $1.00 per adult; $0.50 per child, 65+ or disabled. The ferry terminal is 3 miles from downtown Anacortes. See website for additional parking rates over 7 days – Anacortes Ferry Terminal parking. Just walk on the ferry with your bags and leave your car behind! There are no lockers or bag check on the ferry. They ask you do not leave your bags unattended on the ferry for the 2 – 2-1/2 hour crossing. Once you arrive in Sidney, you will go through customs with other people who walked on. The 70 Express Bus will take you directly into Downtown Victoria. Unfortunately, the bus does not enter the ferry area. It is a short 10 minute walk – 3 blocks west, 4 blocks north – to the bus stop. View this route map. Or walk along 1st Street for a view of the water and turn at Beacon Avenue. Single tickets on the bus are $2.50 per ride. A DayPASS is an even better option at $7.75 $5.00 (valid until midnight). You may purchase a DayPASS at 7-11 located on Beacon at Resthaven Dr one block from where you catch the bus at 5th and Beacon. View fares. Transfers are available on the bus. View the Victoria Regional Transit System website. The 70 Express Bus will take you to Government at Superior (map) in Downtown Victoria. You will arrive a couple of blocks from the Inner Harbor and the Empress Hotel. This is a main sightseeing area and well worth the walk. Have a wonderful time on your holiday between Washington state and Vancouver Island, Canada! Please note: This article was written based on my own travel experience that I paid for. This is not a paid promotional article. 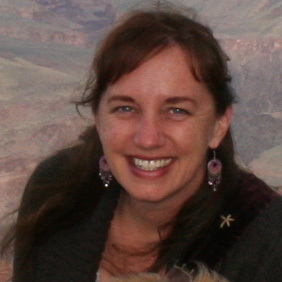 I just want to you learn from my experience and enjoy traveling at a smart, discounted cost. Affiliate Links – This post contains affiliate links and banner ads. If you click on an affiliate link and purchase through the linked website, this can result in a commission paid to this site. There is no charge to you and it helps support this site. Affiliate links are indicated by “(affiliate link)”. Banner ads also earn a commission for this site when clicked. All other links are for your benefit to additional information and do not earn a commission for this site. Thanks for your support. I know I read somewhere that you can purchase one way tickets from Sydney to Anacortes for half price. I kept expecting to see that in here somewhere. Just so you no.